Earthquakes have been on my mind the last few weeks. Not just because of the earthquake in Haiti, but because they are happening all over, some right here in Utah. Do you feel prepared for an earthquake? I don’t really feel prepared enough, not as a family or as a ward. But I have found something that will help. 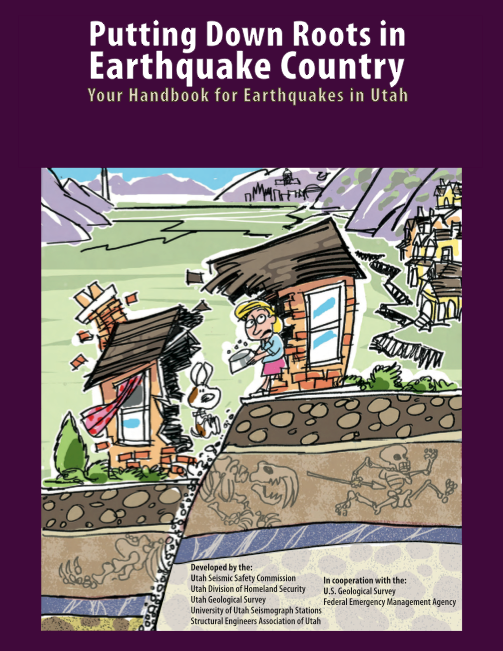 It’s a handbook called Putting Down Roots in Earthquake Country: Your Handbook for Earthquakes in Utah. Just click on the title to download the PDF. I know what I am going to suggest we do for family night tonight.